It’s not uncommon for a foreign language major to dream about the day they become fluent. They’ll be able to chat with their Parisian friends in France while sipping red wine under the Eiffel Tower, or enjoy a soccer game in Madrid while cheering along with the Spaniards surrounding them. Although fluency is the main reason people major in a foreign language, there is much more that goes into the major than just speaking. A foreign language major demands a serious commitment to learning not just a language, but a whole culture. So before you excitedly book a plane ticket to China for next year because you just declared your Mandarin major, read on for the real deal on getting a foreign language degree. 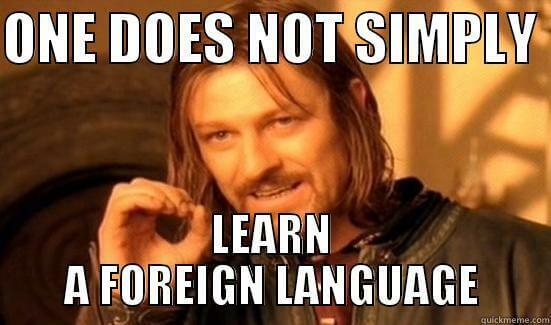 Majoring in a foreign language is very much like learning English from kindergarten all the way to high school. When you’re in elementary school you learn the basics: words, pronunciation, spelling, basic sentence structure and some reading. Then, in middle school, you enhance your vocabulary, begin writing essays and start analyzing the texts you read. Finally, in high school, your vocabulary is at an advanced level, you’re able to write coherent and complex sentences with ease and you are critically analyzing classic and contemporary texts. This is the same structure of a foreign language major — you’re going to be doing a little bit of everything. First and foremost, you’re going to be doing a ton of writing. It could be vocabulary, verb conjugation, sentence structure — just make sure you buy a jumbo pack of pencils at the beginning of the semester because you’re going to need them. You’re also going to be reading. A lot. Classic literature, modern literature, and if it’s an acclaimed literary work from that country you’re going to read and critically analyze it. Finally, and arguably most importantly, you’re going to be learning about the history and culture of the region your language originates from. Unless you are planning on studying abroad for a year, chances are you will not gain complete fluency from course work alone. Becoming fluent in a language is an extremely tedious process and some things you simply can’t learn in a classroom. With that said, don’t be discouraged. Speaking is only one small skill you learn when gaining a foreign language degree. Once you complete your major you might not be fluent; however, you will have gained skills in human relations, critical thinking and a thorough knowledge of a culture that you can’t get from other liberal arts majors. Like any degree in liberal arts, a foreign language degree allows for a ton of career options. 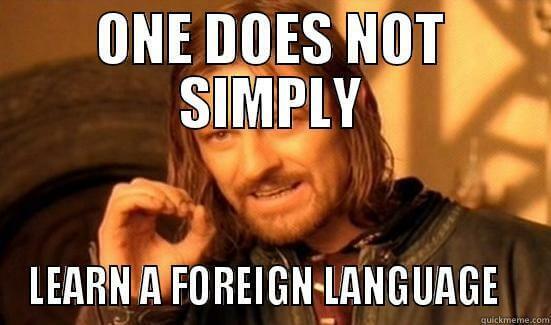 Many students choose to double major in college, with a foreign language being one of the two. This allows students to choose how closely they would like to work with their second language in their career. Below are five ideas to get you thinking just how much you want to work with your language skills each day. You don’t get much more practice opportunity with a foreign language than teaching it to people for 8 hours a day, 5 days a week. A teacher’s salary is not the most competitive, but if you love kids, summers off and the language you’re teaching, why not? 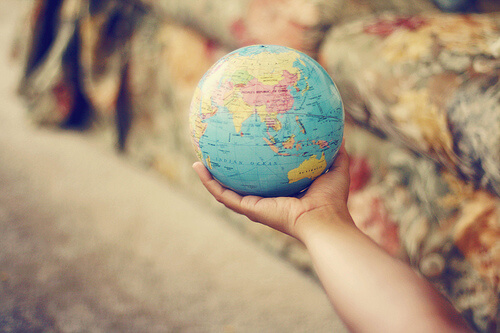 A huge part of majoring in a foreign language is knowing not just a language, but a culture. Many corporations that deal internationally employ foreign language majors to work directly with their international counterparts due to their familiarities with cultural norms and mannerisms. A diverse profession, this career allows you to work in almost any work environment. Love all things medical? Become a translator at the hospital. Crave that corporate feel? Become a translator for a business that deals directly with the country that speaks the language you studied. According to Youngston State University, foreign language degrees are in such high demand with the government that they are willing to repay part of your student loans, provide scholarships and offer competitive salaries. A prominent government agency mentioned was the National Security Agency, meaning that if your foreign language skills took you there, your hair actually would be full of secrets. Remember all those papers you had to write for all your foreign language classes? Yea it sucked at the time but now you’ve developed advanced writing skills in not one but two languages! According to Georgetown University, a foreign language major can earn you a career in journalism. Its not surprising considering the skills you developed in interpersonal communication, attention to detail and researching.